Incorporated in 1656, the town of Bridgewater was the first town settled away from the Massachusetts southeastern coast in the original Plymouth Colony. The town at first included what is now Brockton and the greater part of the town of Abington (set off in 1712 and including what now are incorporated as Abrington, Whitman, and Rockland) and a part of Hanson. Agriculture was the area’s primary industry until the Revolutionary War, after which manufacturing began its ascent. Factories, foundries, a paper mill (the first in Plymouth Colony), cotton gins and even shipyards along the river flourished. 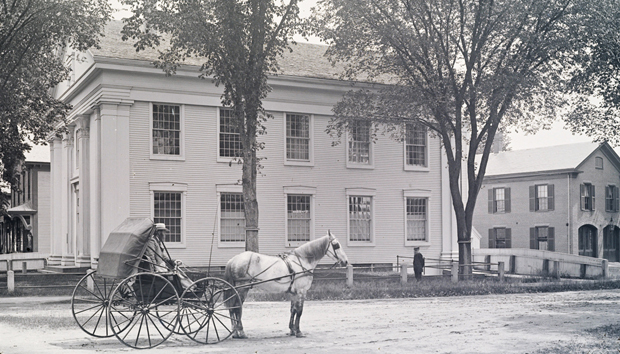 Bridgewater also served as a center of education, with the founding of a Greek and Latin Academy (1760), the Bridgewater Academy (1799), the state Normal School at Bridgewater (1840).